One thing a young NBA player strives for is consistency. This is exactly what Harrison Barnes has been searching for so far this season. When Rusty Simmons of the San Francisco Chronicle asked Barnes about his contributions during the first half of this season, Barnes showed his maturity and honesty. Barnes has always shown an impressive sense of maturity and a veteran-like demeanor and told Simmons that he felt confident going into NBA All-Star Weekend. 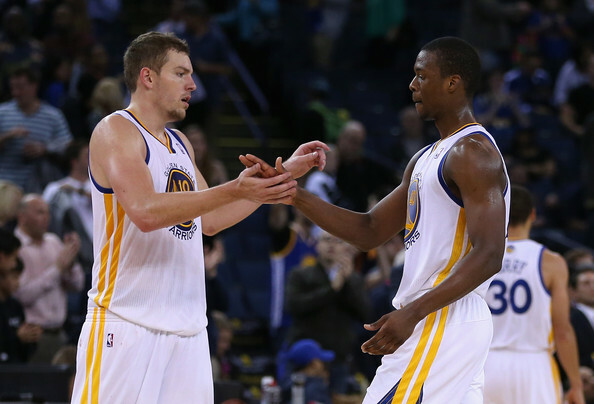 Despite rumors that Barnes might be traded, it’s extremely likely that Barnes will remain a Warrior. General Manager Bob Myers told Marcus Thompson of the Bay Area News Group that Barnes won’t be traded for bench help unless it’s in a significant blockbuster deal. It’s that time of year, Golden State Warriors fans. Time for NBA All-Star Weekend! This year, #DubNation will have a reason to watch every single night of the All-Star Weekend. 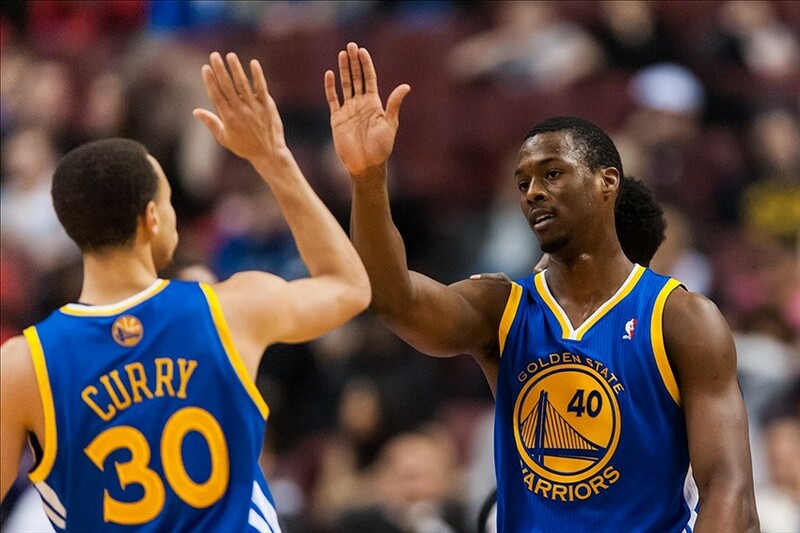 Both Stephen Curry and Harrison Barnes will represent the Warriors at several events this weekend. Fans will see a lot of the Warriors’ franchise player, as Curry will be the captain of the Western Conference for all the All-Star festivities. 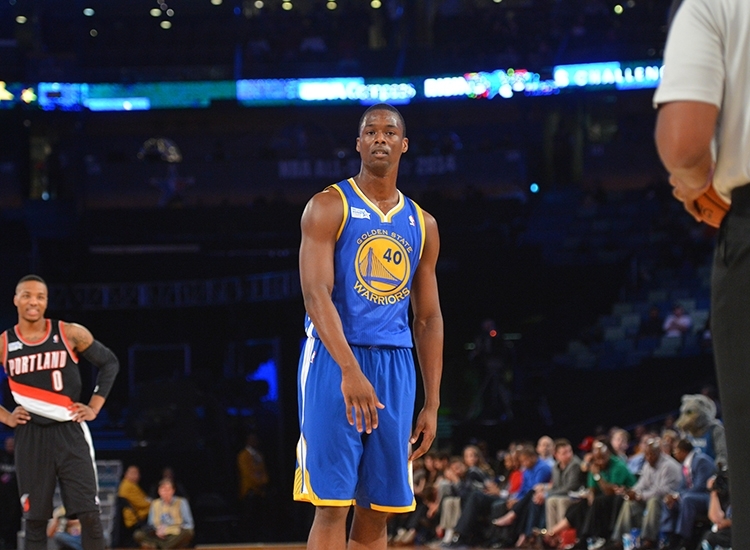 Starting off with the main event on Friday night, Barnes will appear in the BBVA Compass Rising Stars Challenge. Last year, Barnes started for Team Shaq in the BBVA Compass Rising Stars Challenge, and he finished with 12 points. Barnes will play on Team Hill this year. Like many of the All-Star events, the Rising Stars Challenge is mostly for entertainment, so fans expect to see flashy plays, thunderous dunks, and a high-scoring game. Some of Barnes’ biggest strengths are his athleticism and his explosiveness, so his talents should be well showcased at this event. Hopefully for Warriors fans, the Black Falcon will make a few appearances. The next big event of NBA All-Star Weekend on the agenda for Warriors’ fans is the Sears Shooting Stars Competition, which is the first event of the State Farm All-Star Saturday Night events. The Shooting Stars Competition isn’t the most exciting event out of the Saturday night events, but Warriors fans will get a chance to witness a special moment in this competition. Steph Curry will compete on a team that consists of his dad, Dell Curry, and Becky Hammon. Obviously, Dell and Steph are known as sharpshooters. It will be great for Warriors fans to see these two compete together on the same team. Warriors fans should tune in to see the Currys out-shoot the rest of the competition. The San Francisco Giants are just days away from the start of Spring Training, the official start to the 2014 season. The Giants hope to follow up a disappointing 2013 season with a promising 2014 season, and it all starts at Spring Training. Here’s everything you need to know heading into Giants’ Spring Training. Relief Pitchers: Since the Giants will most likely keep seven relief pitchers on their 25-man roster entering the 2014 season, there are currently two bullpen spots open with Sergio Romo, Jeremy Affeldt, Santiago Casilla, Javier Lopez, and Yusmeiro Petit (long reliever) most likely occupying the other spots. The top candidates to fill these two spots are RHP George Kontos, RHP Jake Dunning, RHP Heath Hembree, RHP Jean Machi, and LHP David Huff. Some other pitchers that could potentially take one of those spots are RHP Kameron Loe, RHP Jason Berken, RHP Rafael Dolis, RHP Juan Gutierrez, RHP Erik Cordier, and RHP Derek Law. Backup Infielder: In the offseason, the Giants signed Joaquin Arias to a two-year contract. His ability to play all four infield spots makes him an extremely valuable backup infielder, but the Giants hope to add one more for depth and insurance purposes. The most likely player to snag this spot is 2B/SS Tony Abreu, but some other candidates are SS Ehire Adrianza, IF Nick Noonan, and possibly SS Brandon Hicks. 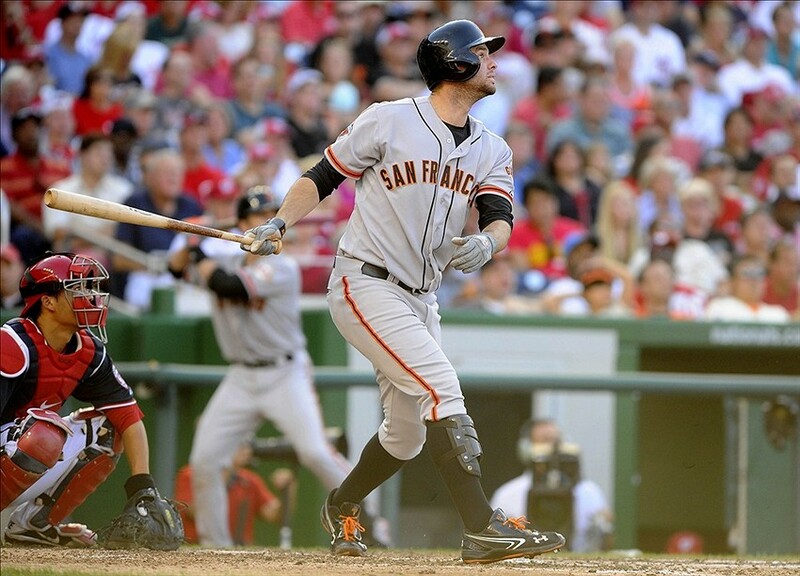 Fifth Outfielder: Gregor Blanco will be the fourth outfielder, behind Angel Pagan, Hunter Pence, and Michael Morse. Blanco will most likely come in for Morse as a defensive replacement at the end of close games, and he will be used as a pinch runner because of his speed. OF Juan Perez will most likely win that fifth outfielder spot, since he can play all three outfield spots and had a strong finish to the 2013 season. OF Roger Kieschnick has the second-best chance, and some other players who are a long shot to earn that spot are OF Gary Brown and OF Javier Herrera. -All games start at 1:05 MST, unless stated otherwise. With the trade deadline quickly approaching, many teams are involved in trade rumors, including the Golden State Warriors. According to Sam Amick of USA Today Sports, many NBA executives said that the Warriors are willing to discuss trading anyone on their roster except Stephen Curry and Andrew Bogut. Whether or not polling NBA executives about the Warriors means anything, Golden State’s ownership group and general manager are known for being aggressive in the trade market, so we’ll see how bold they are at the trade deadline. One of the biggest criticisms involving the Warriors this season has been their bench. The Warriors have already made one upgrade to their bench with the addition of Jordan Crawford. If the Warriors look to make another trade, they will most likely add another bench player. If the Warriors look to make another trade, they will most likely add another bench player. The trade deadline is February 20th, so the Warriors have a little over a week to make a move, if possible. Here are some possible trade scenarios that have been presented by media. On January 28th, the Golden State Warriors got a reality check when they played the Washington Wizards at home. The Warriors’ offense was near non-existent for the whole game, and they ended up losing to the Wizards 88-85. 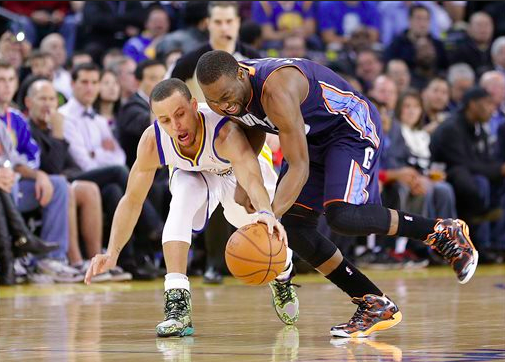 The Warriors got another reality check on Tuesday night against a team they should’ve beaten, the Charlotte Bobcats. In this game though, they didn’t lose by just a small margin. They were outplayed all game, and they got blown out by the Bobcats 91-75. The Warriors have a bad habit of playing up or down to their competition. They are playing stellar, near perfect basketball against the best teams, such as the Portland Trail Blazers, the Los Angeles Clippers, et. al. However, they are struggling to beat teams that they should be beating like the Wizards and Bobcats. Andre Iguodala spoke about this unfortunate trend after Tuesday’s loss. 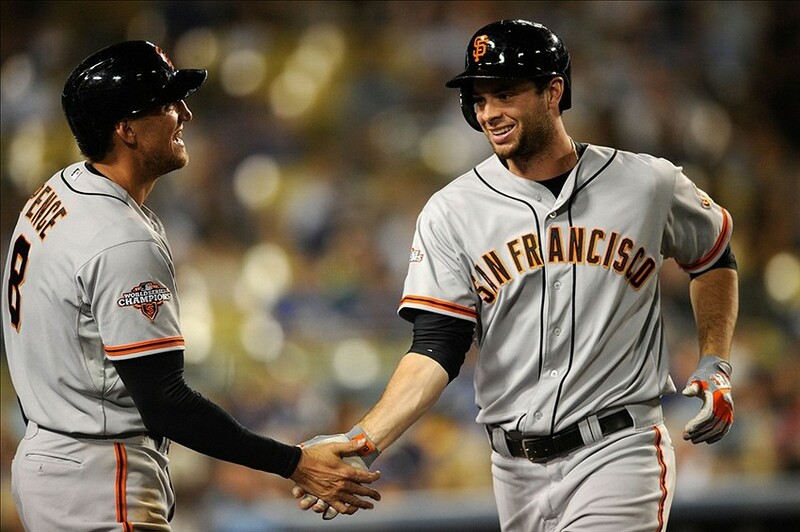 San Francisco Giants: Who’s Poised For Breakout Year? 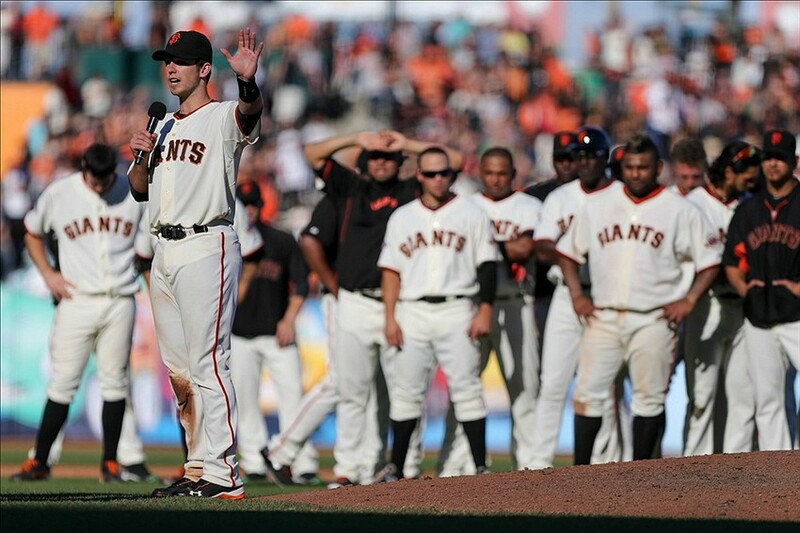 After a disappointing 2013 season, the San Francisco Giants hope to bounce back in 2014. Last season, the Giants struggled in many different areas, and they were generally very inconsistent. The Giants have addressed many of these issues in the offseason, for example, by acquiring Tim Hudson and Michael Morse (more on him here). Given these additions, the Giants should be able to compete for the NL West title in 2014. The Giants know they will get the usual, consistent production from Hunter Pence and Buster Posey. If Pablo Sandoval can keep the extra weight off, he’s expected to have a solid season as well. These three players are the main offensive weapons for the Giants, but there’s one more player who could help make the Giants a legitimate postseason threat next season. 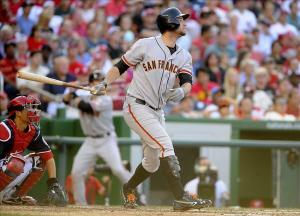 Their young first baseman, Brandon Belt, will have a breakout year in 2014. Last season, Belt started to find that consistency that he’s had so much trouble finding in his young career. Based on the success he had in the second half last season, Belt will carry the confidence that he gained into this upcoming season and have a breakout year. In the first half of last season, Belt hit just .260. In the second half of last season, Belt hit an impressive .326. Why did Belt have such a stellar second half after having an average, somewhat forgettable first half? Belt made some crucial adjustments to his swing. He started using a looser grip on the bat, and he moved further back in the batter’s box. Belt has tried making several minor tweaks to his swing over the course of his career. However, most of them didn’t have much significant, prolonged success. For a young player who had been so successful at the minor league level, Belt was somewhat stubborn about making significant adjustments to his swing. Giants hitting coach Hensley Meulens knew of Belt’s reluctance to change his swing, so he tried appealing to him with a real-life example. Meulens told Belt that Domonic Brown of the Philadelphia Phillies made a similar adjustment and had seen much success because of it. Brown broke out in 2013 and hit .272 with 27 home runs and 83 RBI last season. He was also named a 2013 All-Star. Brown and Belt are both 25 years-old, they’re both 6-foot-5, they’re both left-handed hitters and they were both top prospects. Given these similar characteristics, Belt was intrigued by the change. He also was willing to make the adjustment because Brown told Meulens that it only took him a few days to fully adjust to the new grip. Bruce Bochy was the one who suggested the move back in the batter’s box. Bochy noticed that Belt, like many players in MLB, tend to move up in the batter’s box in anticipation of hitting the ball. However, moving back in the box gives the hitter more time to see the ball and decide whether to swing or not. After making these adjustments, Belt drastically reduced his fly-ball percentage. Belt struggled mightily in this category in the first half of the season, as he had a 43.9 percent fly-ball rate. In the second half, Belt decreased his fly-ball rate to 38.2 percent. Although this doesn’t sound like a drastic change, it’s certainly an improvement in a fly-ball-heavy ballpark like AT&T Park. Belt also decreased his strikeout rate from 23.5 percent in the first half of the season to 19.8 percent in the second half. Based on all these adjustments, Belt became the middle-of-the-order threat that the Giants believed he could be for so long. Because of this impressive hitting, Bochy moved Belt to the number three hole, which he also seemed to flourish in. In the month of August, he hit .350 with a 1.051 OPS. In September and October, he hit .341 with a .910 OPS. Hypothetically, it makes sense why Belt would do well in the No. 3 spot. Belt has shown he can hit for average and that he has power, two characteristics necessary for the No. 3 hitter, who is traditionally the best hitter in the lineup. Bochy has said that he plans on keeping Belt in the No. 3 spot this season, so Belt needs to continue to bring that production from that spot. The three spot is so crucial, especially for the Giants. Angel Pagan and Marco Scutaro have shown that they can get on base consistently, so Belt needs to be able to bring them in or move them over. Then Posey and Pence can come in and do the rest of the work. In addition to his improved offense, Belt is an elite first baseman defensively. He has great instincts, he reacts quickly, and he’s fundamentally sound at first base. Brian Sabean showed Alex Pavlovic of the Bay Area News Group how impressed he is with Belt’s all-around game. “He continues to learn as a hitter, and the better hitter he becomes, the more power you’re going to see,” general manager Brian Sabean said. “And he’s very much on the path to being a Gold Glove first baseman. Belt needs to come into the 2014 season and build on the confidence and the momentum that he gained last season. Belt has always had trouble finding that consistency, so that remains the challenge for him. Based on the consistency that he showed at the end of last season and his embrace of the adjustments he’s made at the plate, Belt will have a breakout season in 2014. The Golden State Warriors have put their move to San Francisco on hold. The San Francisco Chronicle reported that the Warriors are putting their goal of opening their proposed San Francisco arena by 2017 on hold for a year or longer. The proposed arena would be 125 feet tall on Piers 30-32, and the project also includes a 175-foot condominium tower and two 105-foot mid-rise buildings that will become a hotel. There have been many speed bumps on the Warriors’ road to building a new arena in San Francisco. First of all, the cost estimates for repairing Piers 30-32 have doubled to $180 million. These costs don’t include the actual construction of the arena also. Second, there is serious opposition to this arena. One of the biggest points of opposition is the height of the proposed arena. On the piers, there is a 40-foot height limit, and on the lot that includes the tower and mid-rise buildings, there is a 105-foot height limit. Based on the estimates, the arena, and the project as a whole, would certainly exceed these height limits. 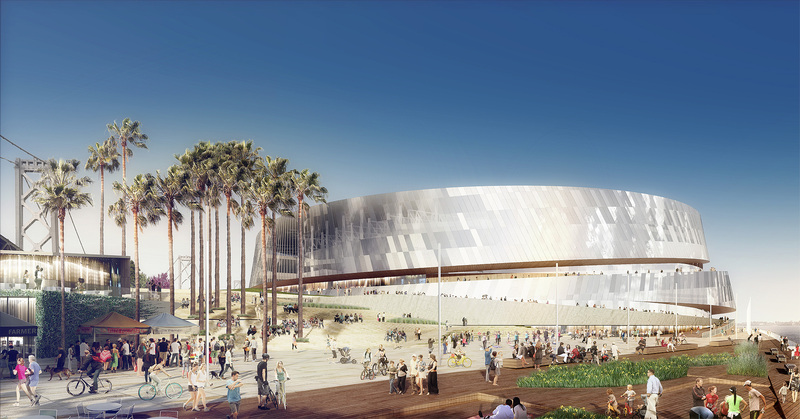 Arena opponents have collected more than 15,000 signatures for a ballot measure, which would prevent developers, including the Warriors, from exceeding certain height limits on the waterfront without getting voter approval.